In case you had any doubts: Meghan Markle looks stunning in white, and we have the pictures to prove it. The royal-to-be stepped out with Prince Harry, Prince William, Princess Kate, and (yes) Queen Elizabeth II to attend a church service for Commonwealth Day, a national British holiday that occurs on the second Monday of March. 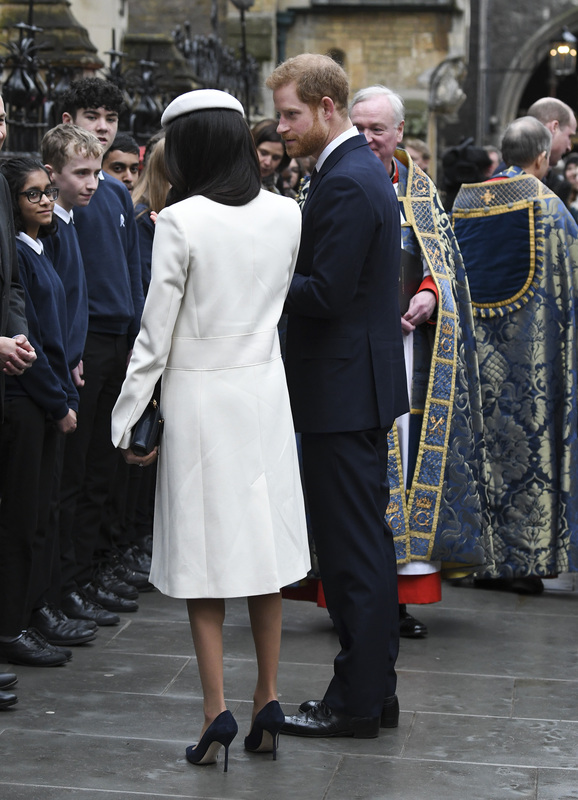 The actress-turned-future royal emerged from church wearing an Amanda Wakeley cream coat (Wakeley was Princess Diana’s fave designer, btw) with a matching Stephen Jones beret. 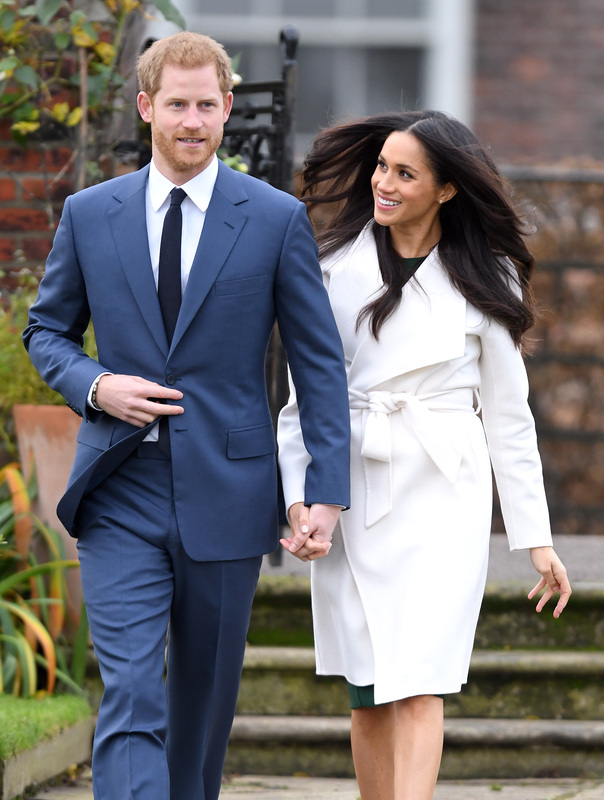 Markle paired the distinctly-bridal outerwear with a knee-length navy dress and simple navy pumps. She kept her jewelry minimal, and the look was understated perfection. If you look closely, you’ll see that Markle’s nails matched her beret and coat, too (because it’s the little things). Here’s a glimpse of the uber elegant coat from the back. This isn’t the first time we’ve seen Markle step out in a white coat. 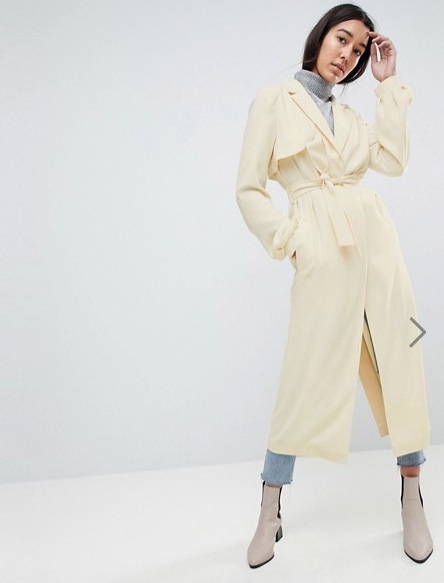 She wore a white Line the Label trench coat when she and Harry announced their engagement in November 2017. Clearly, this is a favorite look for the star. 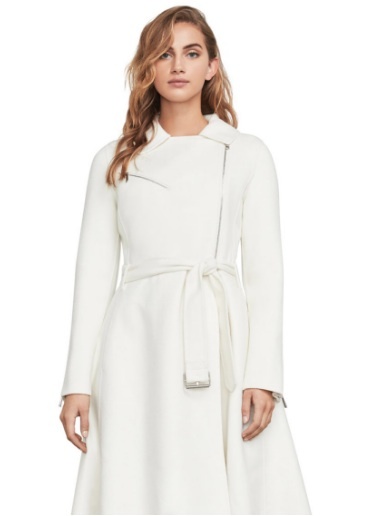 If you’re loving Meghan’s white coat theme, but can’t exactly afford the royal prices (the Amanda Wakeley coat goes for $1,199), no worries, we got you. It also comes in Petite length. Let’s hope we see more of this pre-bridal style before the May 19th wedding.